94:0.1 THE EARLY TEACHERS of the Salem religion penetrated to the remotest tribes of Africa and Eurasia ever preaching Machiventa's gospel of man's faith and trust in the one universal God as the only price of obtaining divine favor. Melchizedek's covenant with Abraham was the pattern for all the early propaganda that went out from Salem and other centers. Urantia has never had more enthusiastic and aggressive missionaries of any religion than these noble men and women who carried the teachings of Melchizedek over the entire Eastern Hemisphere. These missionaries were recruited from many peoples and races, and they largely spread their teachings through the medium of native converts. They established training centers in different parts of the world where they taught the natives the Salem religion and then commissioned these pupils to function as teachers among their own people. 94:1.1 In the days of Melchizedek, India was a cosmopolitan country which had recently come under the political and religious dominance of the Aryan -Andite invaders from the north and west. At this time only the northern and western portions of the peninsula had been extensively permeated by the Aryans. These Vedic newcomers had brought along with them their many tribal deities. Their religious forms of worship followed closely the ceremonial practices of their earlier Andite forebears in that the father still functioned as a priest and the mother as a priestess, and the family hearth was still utilized as an altar. 94:2.3 The undue concentration on self led certainly to a fear of the nonevolutionary perpetuation of self in an endless round of successive incarnations as man, beast, or weeds. And of all the contaminating beliefs which could have become fastened upon what may have been an emerging monotheism, none was so stultifying as this belief in transmigration—the doctrine of the reincarnation of souls —which came from the Dravidian Deccan. This belief in the weary and monotonous round of repeated transmigrations robbed struggling mortals of their long-cherished hope of finding that deliverance and spiritual advancement in death which had been a part of the earlier Vedic faith. 94:2.6 These were the times of the compilation of the later scriptures of the Hindu faith, the Brahmanas, and the Upanishads. Having rejected the teachings of personal religion through the personal faith experience with the one God, and having become contaminated with the flood of debasing and debilitating cults and creeds from the Deccan, with their anthropomorphisms and reincarnations, the Brahmanic priesthood experienced a violent reaction against these vitiating beliefs; there was a definite effort to seek and to find true reality. The Brahmans set out to deanthropomorphize the Indian concept of deity, but in so doing they stumbled into the grievous error of depersonalizing the concept of God, and they emerged, not with a lofty and spiritual ideal of the Paradise Father, but with a distant and metaphysical idea of an all-encompassing Absolute. 94:4.10 Today, in India, the great need is for the portrayal of the Jesusonian gospel —the Fatherhood of God and the sonship and consequent brotherhood of all men, which is personally realized in loving ministry and social service. 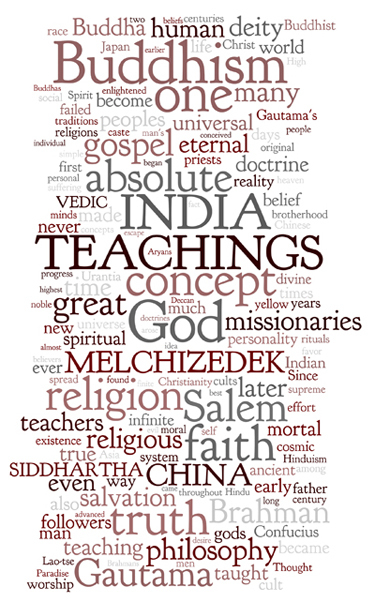 In India the philosophical framework is existent, the cult structure is present; all that is needed is the vitalizing spark of the dynamic love portrayed in the original gospel of the Son of Man, divested of the Occidental dogmas and doctrines which have tended to make Michael's life bestowal a white man's religion. 94:6.4 Lao-tse also made one of the earliest presentations of the doctrine of returning good for evil: " Goodness begets goodness, but to the one who is truly good, evil also begets goodness." 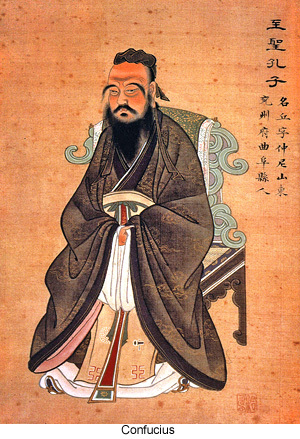 94:6.8 But the popular Taoism of twentieth-century Urantia has very little in common with the lofty sentiments and the cosmic concepts of the old philosopher who taught the truth as he perceived it, which was: That faith in the Absolute God is the source of that divine energy which will remake the world, and by which man ascends to spiritual union with Tao the Eternal Deity and Creator Absolute of the universes. 94:7.1 Contemporary with Lao-tse and Confucius in China, another great teacher of truth arose in India, Gautama Siddhartha was born in the sixth century before Christ in the north Indian province of Nepal. His followers later made it appear that he was the son of a fabulously wealthy ruler, but, in truth, he was the heir apparent to the throne of a petty chieftain who ruled by sufferance over a small and secluded mountain valley in the southern Himalayas. 94:7.2 Gautama formulated those theories which grew into the philosophy of Buddhism after six years of the futile practice of Yoga. Siddhartha made a determined but unavailing fight against the growing caste system. There was a lofty sincerity and a unique unselfishness about this young prophet prince that greatly appealed to the men of those days. He detracted from the practice of seeking individual salvation through physical affliction and personal pain. And he exhorted his followers to carry his gospel to all the world. 94:7.3 Amid the confusion and extreme cult practices of India, the saner and more moderate teachings of Gautama came as a refreshing relief. He denounced gods, priests, and their sacrifices, but he too failed to perceive the personality of the One Universal. Not believing in the existence of individual human souls, Gautama, of course, made a valiant fight against the time-honored belief in transmigration of the soul. He made a noble effort to deliver men from fear, to make them feel at ease and at home in the great universe, but he failed to show them the pathway to that real and supernal home of ascending mortals— Paradise —and to the expanding service of eternal existence. 94:7.4 Gautama was a real prophet, and had he heeded the instruction of the hermit Godad, he might have aroused all India by the inspiration of the revival of the Salem gospel of salvation by faith. Godad was descended through a family that had never lost the traditions of the Melchizedek missionaries. 94:7.5 At Benares Gautama founded his school, and it was during its second year that a pupil, Bautan, imparted to his teacher the traditions of the Salem missionaries about the Melchizedek covenant with Abraham; and while Siddhartha did not have a very clear concept of the Universal Father, he took an advanced stand on salvation through faith—simple belief. He so declared himself before his followers and began sending his students out in groups of sixty to proclaim to the people of India "the glad tidings of free salvation; that all men, high and low, can attain bliss by faith in righteousness and justice." 94:7.6 Gautama's wife believed her husband's gospel and was the founder of an order of nuns. His son became his successor and greatly extended the cult; he grasped the new idea of salvation through faith but in his later years wavered regarding the Salem gospel of divine favor through faith alone, and in his old age his dying words were, "Work out your own salvation." 94:7.7 When proclaimed at its best, Gautama's gospel of universal salvation, free from sacrifice, torture, ritual, and priests, was a revolutionary and amazing doctrine for its time. And it came surprisingly near to being a revival of the Salem gospel. It brought succor to millions of despairing souls, and notwithstanding its grotesque perversion during later centuries, it still persists as the hope of millions of human beings. 94:7.8 Siddhartha taught far more truth than has survived in the modern cults bearing his name. Modern Buddhism is no more the teachings of Gautama Siddhartha than is Christianity the teachings of Jesus of Nazareth. 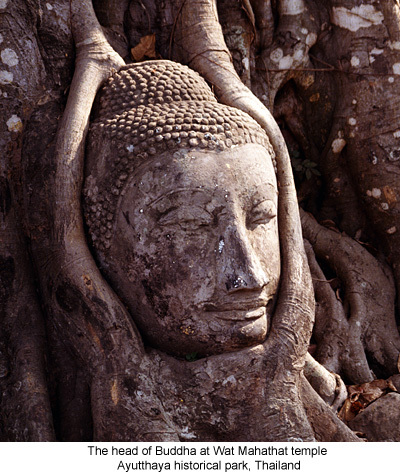 94:8.2 Buddhism took origin in a historic person, not in a myth. Gautama’s followers called him Sasta, meaning master or teacher. While he made no superhuman claims for either himself or his teachings, his disciples early began to call him the enlightened one, the Buddha; later on, Sakyamuni Buddha. 94:8.8 Closely linked to the doctrine of suffering and the escape therefrom was the philosophy of the Eightfold Path: right views, aspirations, speech, conduct, livelihood, effort, mindfulness, and contemplation. It was not Gautama’s intention to attempt to destroy all effort, desire, and affection in the escape from suffering; rather was his teaching designed to picture to mortal man the futility of pinning all hope and aspirations entirely on temporal goals and material objectives. It was not so much that love of one’s fellows should be shunned as that the true believer should also look beyond the associations of this material world to the realities of the eternal future. 94:8.15 There were several additional or secondary commandments, whose observance was optional with believers. 94:8.16 Siddhartha hardly believed in the immortality of the human personality; his philosophy only provided for a sort of functional continuity. He never clearly defined what he meant to include in the doctrine of Nirvana. The fact that it could theoretically be experienced during mortal existence would indicate that it was not viewed as a state of complete annihilation. It implied a condition of supreme enlightenment and supernal bliss wherein all fetters binding man to the material world had been broken; there was freedom from the desires of mortal life and deliverance from all danger of ever again experiencing incarnation. 94:8.17 According to the original teachings of Gautama, salvation is achieved by human effort, apart from divine help; there is no place for saving faith or prayers to superhuman powers. Gautama, in his attempt to minimize the superstitions of India, endeavored to turn men away from the blatant claims of magical salvation. And in making this effort, he left the door wide open for his successors to misinterpret his teaching and to proclaim that all human striving for attainment is distasteful and painful. His followers overlooked the fact that the highest happiness is linked with the intelligent and enthusiastic pursuit of worthy goals, and that such achievements constitute true progress in cosmic self-realization. 94:8.18 The great truth of Siddhartha’s teaching was his proclamation of a universe of absolute justice. He taught the best godless philosophy ever invented by mortal man; it was the ideal humanism and most effectively removed all grounds for superstition, magical rituals, and fear of ghosts or demons. 94:8.19 The great weakness in the original gospel of Buddhism was that it did not produce a religion of unselfish social service. The Buddhistic brotherhood was, for a long time, not a fraternity of believers but rather a community of student teachers. Gautama forbade their receiving money and thereby sought to prevent the growth of hierarchal tendencies. Gautama himself was highly social; indeed, his life was much greater than his preachment. 94:9.1 Buddhism prospered because it offered salvation through belief in the Buddha, the enlightened one. It was more representative of the Melchizedek truths than any other religious system to be found throughout eastern Asia. But Buddhism did not become widespread as a religion until it was espoused in self-protection by the low-caste monarch Asoka, who, next to Ikhnaton in Egypt, was one of the most remarkable civil rulers between Melchizedek and Michael. 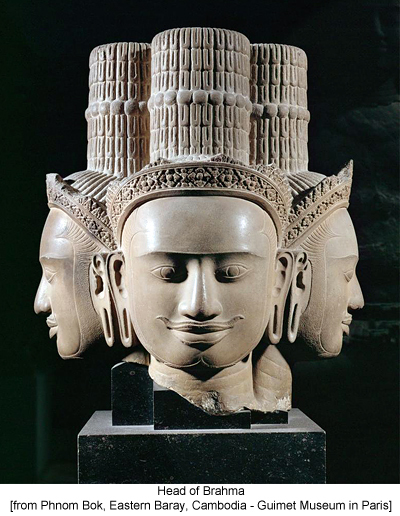 Asoka built a great Indian empire through the propaganda of his Buddhist missionaries. During a period of twenty-five years he trained and sent forth more than seventeen thousand missionaries to the farthest frontiers of all the known world. In one generation he made Buddhism the dominant religion of one half the world. It soon became established in Tibet, Kashmir, Ceylon, Burma, Java, Siam, Korea, China, and Japan. And generally speaking, it was a religion vastly superior to those which it supplanted or upstepped. 94:9.2 The spread of Buddhism from its homeland in India to all of Asia is one of the thrilling stories of the spiritual devotion and missionary persistence of sincere religionists. The teachers of Gautama’s gospel not only braved the perils of the overland caravan routes but faced the dangers of the China Seas as they pursued their mission over the Asiatic continent, bringing to all peoples the message of their faith. But this Buddhism was no longer the simple doctrine of Gautama; it was the miraculized gospel which made him a god. And the farther Buddhism spread from its highland home in India, the more unlike the teachings of Gautama it became, and the more like the religions it supplanted, it grew to be. 94:9.3 Buddhism, later on, was much affected by Taoism in China,Shinto in Japan, and Christianity in Tibet. After a thousand years, in India Buddhism simply withered and expired. It became Brahmanized and later abjectly surrendered to Islam, while throughout much of the rest of the Orient it degenerated into a ritual which Gautama Siddhartha would never have recognized. 94:9.4 In the south the fundamentalist stereotype of the teachings of Siddhartha persisted in Ceylon,Burma, and the Indo-China peninsula. This is the Hinayana division of Buddhism which clings to the early or asocial doctrine. 94:9.5 But even before the collapse in India, the Chinese and north Indian groups of Gautama’s followers had begun the development of the Mahayana teaching of the “Great Road” to salvation in contrast with the purists of the south who held to the Hinayana, or “Lesser Road.” And these Mahayanists cast loose from the social limitations inherent in the Buddhist doctrine, and ever since has this northern division of Buddhism continued to evolve in China and Japan. 94:9.6 Buddhism is a living, growing religion today because it succeeds in conserving many of the highest moral values of its adherents. It promotes calmness and self-control, augments serenity and happiness, and does much to prevent sorrow and mourning. Those who believe this philosophy live better lives than many who do not. 94:10.1 In Tibet may be found the strangest association of the Melchizedek teachings combined with Buddhism, Hinduism, Taoism, and Christianity. When the Buddhist missionaries entered Tibet, they encountered a state of primitive savagery very similar to that which the early Christian missionaries found among the northern tribes of Europe. 94:10.2 These simple-minded Tibetans would not wholly give up their ancient magic and charms. Examination of the religious ceremonials of present-day Tibetan rituals reveals an overgrown brotherhood of priests with shaven heads who practice an elaborate ritual embracing bells, chants, incense, processionals, rosaries, images, charms, pictures, holy water, gorgeous vestments, and elaborate choirs. They have rigid dogmas and crystallized creeds, mystic rites and special fasts. Their hierarchy embraces monks, nuns, abbots, and the Grand Lama. They pray to angels, saints, a Holy Mother, and the gods. They practice confessions and believe in purgatory. Their monasteries are extensive and their cathedrals magnificent. They keep up an endless repetition of sacred rituals and believe that such ceremonials bestow salvation. Prayers are fastened to a wheel, and with its turning they believe the petitions become efficacious. Among no other people of modern times can be found the observance of so much from so many religions; and it is inevitable that such a cumulative liturgy would become inordinately cumbersome and intolerably burdensome. 94:10.3 The Tibetans have something of all the leading world religions except the simple teachings of the Jesusonian gospel: sonship with God, brotherhood with man, and ever-ascending citizenship in the eternal universe. 94:11.1 Buddhism entered China in the first millennium after Christ, and it fitted well into the religious customs of the yellow race. In ancestor worship they had long prayed to the dead; now they could also pray for them. Buddhism soon amalgamated with the lingering ritualistic practices of disintegrating Taoism, This new synthetic religion with its temples of worship and definite religious ceremonial soon became the generally accepted cult of the peoples of China, Korea, and Japan. 94:11.2 While in some respects it is unfortunate that Buddhism was not carried to the world until after Gautama’s followers had so perverted the traditions and teachings of the cult as to make of him a divine being, nonetheless this myth of his human life, embellished as it was with a multitude of miracles, proved very appealing to the auditors of the northern or Mahayana gospel of Buddhism. 94:11.3 Some of his later followers taught that Sakyamuni Buddha’s spirit returned periodically to earth as a living Buddha, thus opening the way for an indefinite perpetuation of Buddha images, temples, rituals, and impostor “living Buddhas.” Thus did the religion of the great India protestant eventually find itself shackled with those very ceremonial practices and ritualistic incantations against which he had so fearlessly fought, and which he had so valiantly denounced. 94:11.4 The great advance made in Buddhist philosophy consisted in its comprehension of the relativity of all truth. Through the mechanism of this hypothesis Buddhists have been able to reconcile and correlate the divergencies within their own religious scriptures as well as the differences between their own and many others. It was taught that the small truth was for little minds, the large truth for great minds. 94:11.5 This philosophy also held that the Buddha (divine) nature resided in all men; that man, through his own endeavors, could attain to the realization of this inner divinity. And this teaching is one of the clearest presentations of the truth of the indwelling Adjusters ever to be made by a Urantian religion. 94:11.6 But a great limitation in the original gospel of Siddhartha, as it was interpreted by his followers, was that it attempted the complete liberation of the human self from all the limitations of the mortal nature by the technique of isolating the self from objective reality. True cosmic self-realization results from identification with cosmic reality and with the finite cosmos of energy, mind, and spirit, bounded by space and conditioned by time. 94:11.7 But though the ceremonies and outward observances of Buddhism became grossly contaminated with those of the lands to which it traveled, this degeneration was not altogether the case in the philosophical life of the great thinkers who, from time to time, embraced this system of thought and belief. 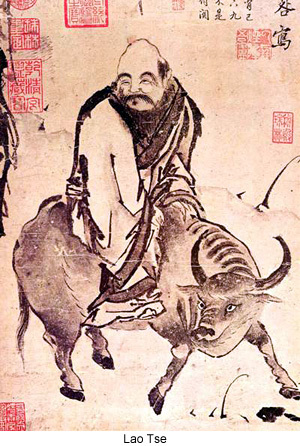 Through more than two thousand years, many of the best minds of Asia have concentrated upon the problem of ascertaining absolute truth and the truth of the Absolute. 94:11.12 While this idea of Absolute Deity never found great popular favor with the peoples of Asia, it did enable the intellectuals of these lands to unify their philosophy and to harmonize their cosmology. The concept of the Buddha Absolute is at times quasi-personal, at times wholly impersonal—even an infinite creative force. Such concepts, though helpful to philosophy, are not vital to religious development. Even an anthropomorphic Yahweh is of greater religious value than an infinitely remote Absolute of Buddhism or Brahmanism. 94:11.13 At times the Absolute was even thought of as contained within the infinite I AM. But these speculations were chill comfort to the hungry multitudes who craved to hear words of promise, to hear the simple gospel of Salem, that faith in God would assure divine favor and eternal survival. 94:12.4 The great strength of Buddhism is that its adherents are free to choose truth from all religion; such freedom of choice has seldom characterized a Urantian faith. In this respect the Shin sect of Japan has become one of the most progressive religious groups in the world; it has revived the ancient missionary spirit of Gautama’s followers and has begun to send teachers to other peoples. This willingness to appropriate truth from any and all sources is indeed a commendable tendency to appear among religious believers during the first half of the twentieth century after Christ.